Macaroon Ice Cream Sandwiches - Kosher In The Kitch! 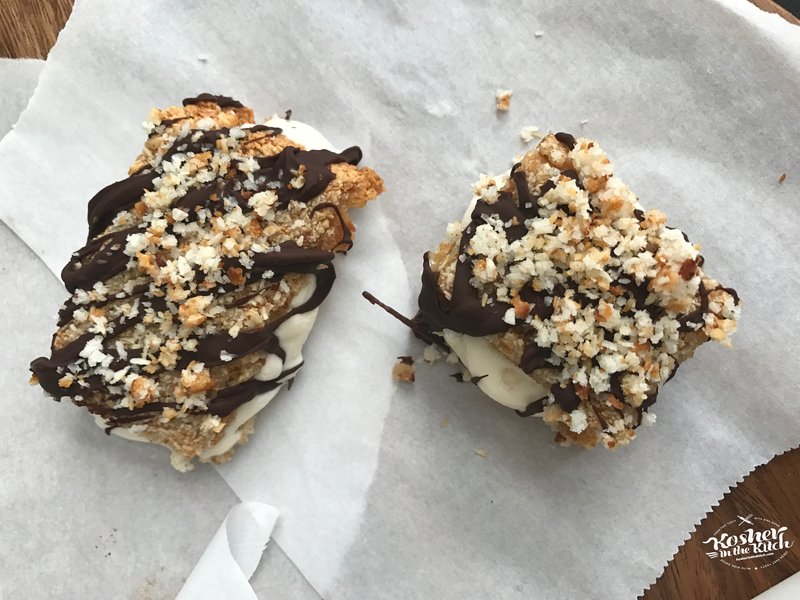 Macaroon Ice Cream Sandwiches - Kosher In The Kitch! I partnered with Manischewitz to create these delicious Macaroon Ice Cream Sandwiches for Passover! Crushed macaroons are combined with butter then baked to form crispy cookies. 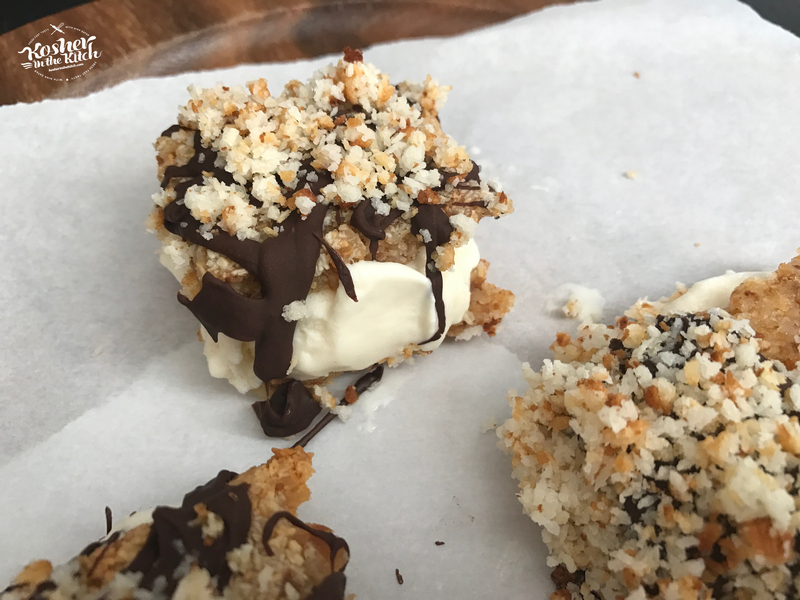 Sandwiched with ice cream and garnished with melted chocolate and crushed macaroons they are the ultimate gluten free holiday treat. Combine crushed macaroons and melted butter. Press firmly into parchment lined baking sheet. Bake on 350′ for about 10 to 15 minutes until slightly crispy edges. Allow to cool off before cutting into mini rectangles. Scoop ice cream onto rectangle shapes, then top with another one. Drizzle melted chocolate on top and garnish with crushed macaroons. Tips & Tricks: You can garnish with sprinkles, different flavored macaroons, ground walnuts and shaved chocolate curls. In addition to drizzling chocolate over macaroon cookies you can also dip the edges into chocolate them top with garnishes and allow to dry before sandwiching together with ice cream. ** This post is sponsored by Manischewitz. 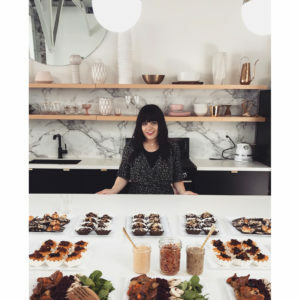 Manischewitz & Kosher in the Kitch are collaborating to bring you deliciously easy recipes using Manischewitz Kosher for Passover macaroons. Red White & Blue Cake in a JarPassover Demo at Ralphs + Passover Brownies Recipe Card Download!